Blessings and love to each of you within humanity of Gaia. We are the Unified Whole Command of the 144th dimensional frequency of Light with Master Thoth, The Great Divine Director, and Master Einstein at your service in this present moment. Now that the month has moved into the last part of the year it represents so many octaves of light that have occurred within the planet during 2014. The changes within each of you are key to the next phase of Gaia’s evolution into 2015. This month of December will prove to bring forth frequencies of light into each of your hearts and minds to prepare you for the upcoming year. It will represent your ability to take what you have learned and apply it within your role upon this Earth. The act of understanding and sensitivity towards others will be essential as humanity will be experiencing great shifts of awakening within their journey upon Gaia. We are the Unified Whole Command within the 144th dimension of Oneness as the Great Divine Director, Master Thoth, and Master Einstein along with the many Christed Beings of Light. The energetic exchange of the Universal Consciousness is being felt in many levels of existence. We are sure you have been experiencing it within your feelings, thoughts, dream-states while walking upon the Earth. Since the Autumn Equinox there have been extensive light energies that have ensued upon the planet with the Lunar Eclipse and Full Moon moving towards the partial Solar Eclipse and New Moon. 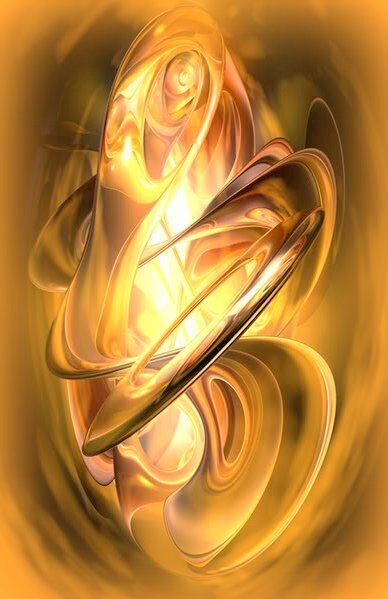 The portals of light that have been actualized within GAIA are here to help every individual to receive more of their higher essence within the avenues of their physicality. In the midst of these elements it is causing more debris to be removed from the Etheric level of the Earth along with each human being. So as a result, it causes a feeling of uncertainty within each individual unless they fully understand that those thoughts and feelings do not belong to them any longer. Some may say, “What do you mean they don’t belong to me? I live upon this earth; I have emotions and I am affected by what is happening within the world.” This is so very true but since the earth is going through her acceleration, the light infractions coming into the core of Gaia’s being are affecting more Light to be acknowledged than the Darkness. But in order for the Light to be realized, the Darkness must be removed. So what happens is a period of regeneration, the old leaves in order for the new to be realized. This is the transcription of the LIVE call within the Clarion Temple of Oneness with Lord Buddha on April 7th, 2014. It is I, Lord Buddha at your service. It is my divine pleasure to be here in the Temple at this magnificent time of creation upon Earth. As the Planetary Logos of this beautiful Earth of Gaia, it brings me great pleasure to come into the Temple and to express myself in the essences that Meleriessee allows me to do. I will bring to you what it is that I am here to express. And I give to you my sincere appreciation and gratitude in these moments. Why do you think that you are here at this time? I am not only referring to your existence on Earth at this time. I am speaking about this moment, at this time of coming together, in this beautiful Temple of Light. There are many Higher Selves that participate in these frequencies and are bringing forth these energies unto the Physical Self. Hopefully one day we will arrive in this Temple and see many souls in physical form joining us for these beautiful ceremonies of Light. I ask each of you to look within yourself to see how truly special you are, for the awakening that has happened, for the creation of your Light, and the divine continuation of what is occurring for you in every moment. We are coming upon the beautiful Festival of the Christ. It is a beautiful time for each of us in the spiritual realms, as now physical human conditioning opens up to our essences in a completely different manner than ever experienced before. Sometimes, it is taken for granted by some individuals that we are here to assist them in their continual upbringing of Light within their own Physical Self. On April 15th the world will have experienced the Festival of the Christ energies within a powerful full moon and lunar eclipse. This event is spoken about to be the most intensified frequency of light to come into the planet this year. 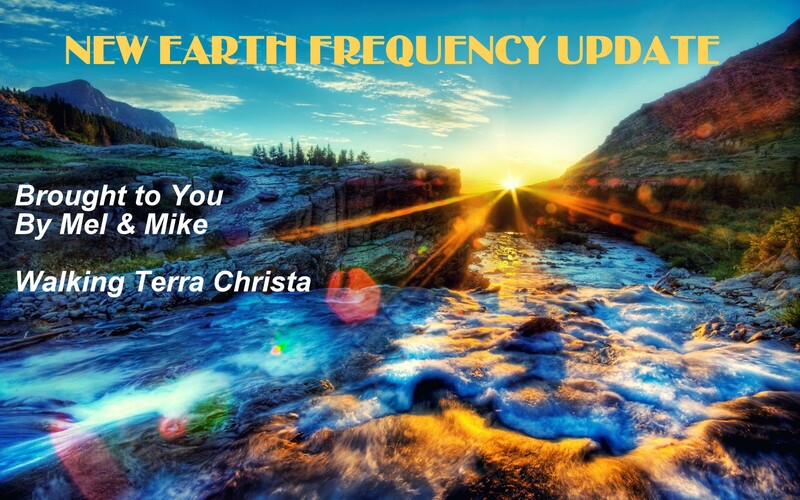 Many individuals are sharing information about this frequency of light that will be occurring. In fact, we are already in the midst of these energies and are experiencing great changes through our full body system. Walking Terra Christa held a special open call for this event on April 14th with Lord Sananda as the guest speaker along with Lord Maitreya and Master Kuthumi. The specifics of the Festival of the Christ represent Love, Resurrection, and Contact with others. Lord Sananda share such an eloquent message of love with powerful Light Codes through Rev. Meleriessee. We gathered together in the Temple of Oneness within the Ballroom of Crystalline Light to walk through another doorway of beauty unto a deeper part of ourselves. Master Kuthumi is now working more fully with Lord Maitreya in the office of the Christ and shared his essence of experience to help lightworkers move through these next phases of ascension. Each of these magnificent beings shared their hearts unto each of our hearts to help us through our initiations that will require great strength and courage. In addition, this full moon represents the sign of Aries with Libra which is a perfect relationship between our physical self (Aries) and our spiritual self (Libra). This moon will assist in the connection between both essences to become one. The Lunar Eclipse also represents relationships of changing circumstances by accessing our “inner wisdom”. This is a perfect time for each individual to fully access their higher self within the physical body for the Divine Union of the Self. It is our pleasure to be with each of you once again through this venue of light. We are the Unified Whole Command of Master Thoth, The Great Divine Director, and Master Einstein along with the entire God Force of the Brotherhood and Sisterhood of White Light. The frequencies of light that are coming into the planet are beyond what you can truly understand within your physical consciousness. It is so important to continually work through your higher essence in your physical mind and heart. We know that this can be a challenge but the more that you do it, the easier it will become. The Lunar Eclipse on April 15th will represent the first of a succession of energy patterns that are going to be intertwining within GAIA. Those of you that know astrology are aware of the Cardinal Grand Cross and the Solar Eclipse on the 29th of April which will herald the frequencies of light for Wesak on May 14th, 2014. These energies are all part of the design plan of 2014. We know the magnificence of these energies represent the Unification of Oneness and grounding these energies into the planet and into each of you. We can look to the science of astrology for detailed information but in truth what does it mean for each of you, individually? That is the big question to ponder but travel no further. We are at that time of year once again when we will be experiencing the three Festivals of Light that represent our role with the Spiritual Hierarchy to advance ourselves into a higher existence within our mastery pathway. Each of these festivals falls upon the full moon cycles within Aries, Taurus, and Gemini. Each of them is a stepping ground into one another. This means that each festival represents our Divine Purpose on this earth and how we can assist ourselves on deeper levels to become more of what we were previously. The festivals also help with the transformation of every sentient being upon this Earth whether an individual participates consciously or not. It is a time of high acceleration and understanding more about them helps a soul to fully accept the challenges and achievements that they will encounter through this three month cycle. The Festival of the Christ ~ April 15th, 2014 ~ is the first of the three events that we celebrate within the mastery pathway. This festival occurs during the full moon in Aries . It represents the living and incorporating the Christ Consciousness Within. It is the first of the three festivals connected to planetary and cosmic ascension. The second being Wesak, and the third, Humanity. Each of these festivals are stepping stones for each initiate to move further up the ladder of their initiation phase as they walk on the Mastery Pathway. Walking Terra Christa New Earth Academy of Mastery is offering this amazing modality which assists individuals in accessing their I AM Presence and activating their higher essence on a daily basis. This modality was previously given in a private session with a Chakra Balancing Alignment. We found in 2013 that we could form a group class to assist individuals to receive this amazing attunement at a much lower price than before. Not only that, we elevated the essence of the Diamond Heart Essence with Divine Light Language Codes that activate the diamonds within each person. To make the DIAMOND HEART ESSENCEsm process easier, what we have now chosen to do is hold a group healing training session to begin the process of clearing the chakra system of anyone attending. We will bring forth the assistance of multiple shamanic and intergalactic healers to act in concert with us. This will set the foundation for the clearing that may need to be done on the individual basis as the Light Diamonds are installed. The format of the new DIAMOND HEART ESSENCEsm TRAINING course will therefore consist of a combined Group Tele-Conference Session (approximately 1 hour in duration) to be followed by a scheduled Individual Session (approximately 25 minutes in duration) to finalize the clearing and install the Light Diamonds. We, at Walking Terra Christa, want to share this visualization and announcement as everyone's active participation is essential. Due to the changes that we are experiencing in December 2012, we would like to share some vibrational energies to help create an understanding within the physical mind. We are the Unified Whole representing the Source of Creation from the 144th dimension. We come today as a group consciousness so to speak as we want each of you to sit and breathe deeply by allowing your Higher Essence to come into your physical being. Do not read the words without perceiving the energies. We do this for one reason: 12:12 is not about understanding the process but going through the doorway without an expectations. Due to the advancement of your world there is so much information available for each individual soul. It is for this reason that we want you to feel our essence which in truth is your essence as We are One. If you can have that experience, then the resulting moment will be acceptance, because you will not receive all of this information we share. You will bring into yourself the aspects of your Self that are awaiting to be acknowledged.